The universe has made some odd Duer connections for me lately and I just have to share! 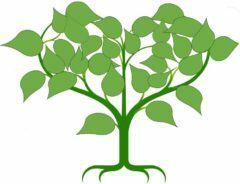 For my new readers, I’ve been enamored with my Duer lines for the past several years after I received an out of the blue email from a Duer genealogist who informed me I had wrongly recorded the surname as Dure in my Ancestry.com tree. Edgar sent me an electronic version of his work which went back generations and within two weeks, he died. The good news was that he got the information out before he passed; the bad news was I could never ask him questions or collaborate on further research with him. The odd thing about that email was that it did not go through Ancestry but Edgar had somehow gotten my personal email. I never learned how he tracked me down. It also was received at a time I was extremely busy with family matters that strengthened the Duer connection. The weirdest occurrence at the time I received the information was to discover one of my children had followed the same path as the Gateway ancestors. My child had spent a college term in Cambridge, England, decided to live in Grenada, West Indies upon graduation and then relocated to Morristown, New Jersey. Seriously, who follows that migration? Apparently, others in my family. Although researching in the Sussex County area had been disappointing I found another way to gather information. Edgar had not made his work public which I promptly did and that has opened the universe to many connections that have enabled me to put together the family’s dynamics over centuries. To me, it’s a very interesting family who never backed down from their beliefs which were way ahead of the society in which they lived. That character strength led to records, mainly court, which have been fascinating to read. For the past 2 years I’ve been trying to connect Revolutionary War Patriot John Duer to his son, Thomas. Thomas died intestate before John so he wasn’t named in John’s will. Records from New Jersey are scant but last month I did find a document through FamilySearch.org that placed John, his wife, Susannah, and Thomas, all in the same place at the same time in Sussex. They had witnessed a will of a widow of the town’s physician. I learned that Susannah was illiterate, John had wonderful handwriting and Thomas, not so much. Thomas would have been 18, of legal age to testify in court that he had witnessed the widow’s wishes. The record I wished to view was only available at a Family History Library so I trekked to one, accessed the microfilm, and promptly saved it to a thumb drive. I checked the thumb drive before I left the facility. All good. Until I got home and tried to open it. I can’t explain why but only half of the first page of the will was visible and it was the part that didn’t have the Duer signatures. The facility was now closed and wouldn’t reopen until the following week so I sought out another library location. My husband offered to go as it was quite a drive. We made it through a violent rain storm and I again found the record quickly (thanks to clearly writing the citation down) and triple checked that the document was saved intact. This time, I was successful. It seems I must work extra hard on this line to move forward! I know from land records that the family relocated to what is now West Virginia/southern Ohio shortly after the will was written. I’m still trying to hunt down those deeds. I have found 2 clues to their existence but have been unable to locate the exact location. I decided to spend the summer working on that project. I began by reading up on various companies that sold land during the late 18th century in the U.S. and track down where the land grant records were held. John is not listed in Bounty Land records held by the government so I decided to pursue private collections, such as the Ohio Company, whose records reside at Marietta College. I got a beep on my phone that an email had come through so I checked as I was anticipating a response from Marietta College. Instead, I was pleasantly surprised to have received 3 photos of the grave of Thomas. I had placed a request on Find-A-Grave and Billion Graves several years ago but no one picked it up, probably because the cemetery is so remote. The sender was a gentleman I had met once at a local to me genealogy meeting. In the twisted Duer way I discover information about the family, I had signed in and put my current area of research was Trumbull County. At the conclusion of the program about Cuban genealogy, the gentleman asked who I was. I waved and he said he wanted to have a word with me. After the meeting concluded he informed me that he was from Trumbull County, Ohio and he had never met anyone else in our area that was researching that location. We exchanged contact info and I asked him if he knew of anyone I could reach out to to obtain a picture of the gravestone. He said he would try his friend. I was not surprised when a week later he told me his friend had become ill and would not be able to visit the cemetery. So again, out of the blue, nearly two years after we met, the gentleman, also named Ed, remembered my request while visiting the area and surprised me with the photos. I decided to share them with the only other person I had ever connected with who has Trumbull County roots – a former genealogy society member who still lives in that area but due to age, can no longer drive. I forwarded the pictures to her because when we first connected two years ago, she told me that Thomas had almost killed her. I was understandably confused since he died in 1829 and she was still alive but she went on to explain that she was doing a cemetery clean up and had tripped and fallen over his stone. She and other genealogy society members had righted and replaced it. A few days went by and while I was outside speaking with the house painter I had hired, my cell rang. I excused myself as I saw the area code was from Trumbull County. Sure enough, it was the dear woman who had righted Thomas’ gravestone and we talked about my latest findings and where I was headed with the research. Hanging up, I explained to my painter how excited I was to receive the photos and to collaborate with someone so knowledgeable who lived in the area I was researching. The painter, who had gone to high school with one of my children, asked where I was researching. When I told him he laughed and informed me that his family had first emigrated from Greece to Trumbull County and he had spent the last 10 years living in the area as he still has family there who are bridge painters. I was speechless. The universe was clearly making connections and the discovery was in my own backyard. Very weird! Even stranger, I had planned to visit Cuba for the first time 3 days later. I had only attended the local genealogy meeting where I met Ed because I wanted information in preparation for a trip to Cuba. We had had a tropical storm the previous day of that meeting and I debated whether I should drive across bridges to get there as the wind was still strong. At the end, the genealogy bug won and I made the trip. I’m so glad I did! Patience is a virtue I have trouble possessing. Maybe that’s the lesson the universe is trying to teach me. The Duer seeds were planted a few years ago and the universe, in its own time, are maturing them and now I’m reaping the fruits. I can’t wait for the final harvest – that missing document that clearly shows that Thomas is the son of John. People have told me repeatedly I won’t find it but I believe it’s out there somewhere. The search continues. Previous Previous post: Another Family Story Shattered!